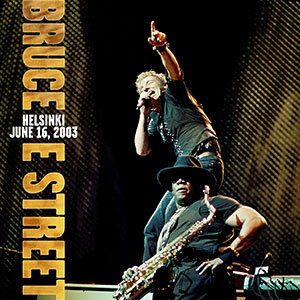 Bruce Springsteen’s ongoing live archives series finally landed on his 2002/03 Rising tour with the release of Helsinki, Finland June 16th, 2003. The show came nearly a year into the Rising tour and features classics like “Born in the U.S.A.,” “Prove It All Night” and “Badlands” mixed in with tracks from the Rising album like “Worlds Apart” and “Into The Fire” along with a cover of the rockabilly classic “Seven Nights to Rock.” It’s a bit of a surprising pick since fans never saw it as a particularly noteworthy show and the set list doesn’t contain any real surprises. Other recent Springsteen live releases include Chicago 9/30/99, London 6/5/81, Los Angeles 7/7/78 and New York 11/8/09. Nearly every tour from his long history has been spotlighted at this point, though they’ve yet to feature a show from the 1988 Amnesty International Human Rights Now! tour or anything from his pre-fame days in Steel Mill or the Bruce Springsteen Band. Bruce Springsteen has spent the entirety of this year focusing on his Broadway show, which wraps up December 15th.